Great condition, like new. Used 4 months for light ETH mining. Original box. Introducing the EVGA SuperNOVA GM line. These new power supplies are engineered to bring the power, prestige, and performance of EVGA's award-winning power supplies into an SFX form factor. SFX to ATX Bracket Adapter. 1U Flex ATX. Server Components. 80 PLUS Efficiency. Power overview. Manufacturer Part Number. Power Good Signal. Short Circuit Protection. 240mm 100mm 40mm. 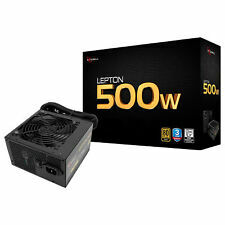 OUTPUT POWER 360W. If you prefer you may also feel free to recycle such materials to any local R2 or e-Stewards certified recycler. CONNECTORS 24 Pin, 8 Pin 12V, SATA I. 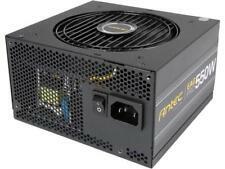 Brand New Raidmax RX-1200AE 1200W 80 Plus Gold Modular Power Supply. Condition is new without original box. Item will be shipped out the following business day in a USPS Flat Rate box via priority mail. Please feel free to contact us anytime with questions. 650W Single 12V Rail. Manufacturer: EVGA. Model: 650 G3. 80 Plus Gold. 431 N Wright Brothers Drive. The item you receive will be sealed. Provide our staff with Item Condition: New. Fully modular, flat white cables make PC builds and upgrades easy, as you only need to install the cables your system requires. Delta Electronics. Current - Output (Max) 21A, 21A, 16A, 10A. Power overview. Cables and Peripherals. Condition is Excellent - Used. Still has the protective sticker over the logo. Red and black cables included. Model: SuperNOVA 750 G3. Manufacturer: EVGA. 750W Single 12V Rail. 80 Plus Gold. 431 N Wright Brothers Drive. Provide our staff with Item Condition: New. Pickup Location. WE CAN SOLVE ANY PROBLEM! WORKING (SEE NOTES). YOU WILL RECEIVE ALL YOU SEE ON THE PICTURES. 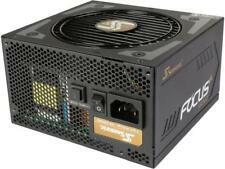 Rosewill 750w ATX Power Supply 80 Plus Gold - Capstone 750M. Used only one month and in good shape. Complete with all cables. EVGA SuperNOVA 750 G3 80 Plus Gold Modular Power Supply 750W . (SLIGHTLY USED) Shipped with USPS Priority Mail. SuperNOVA 1300 G2. Full Modular. Fully Modular to reduce clutter and improve airflow. 80 PLUS GOLD Certified. Includes heavy gauge 120v power cable. Maximum Power. SATA Power Connector. 90% (115VAC) / 92% (220VAC - 240VAC) efficiency or higher under typical loads. SuperNOVA 750 G2. Full Modular. Fully Modular to reduce clutter and improve airflow. 80 PLUS GOLD Certified. Maximum Power. SATA Power Connector. 90% (115 VAC) / 92% (220 VAC - 240 VAC). Over Load Protection. Total 850W @ 50C. Rail 3.3V 5V 12V 5Vsb -12V. 80 PLUS Gold certified, with 90% (115VAC) / 92% (220VAC~240VAC) efficiency or higher under typical loads. Max Output 24A 24A 70.8A 3.0A 0.5A. AC Input 100 - 240 VAC, 10A, 50 - 60 Hz. Used power supply with original box. All cables included. Will ship USPS. For sale is one used, fully working Seasonic FOCUS Plus 850 Gold SSR-850FX 850W 80 Gold ATX12V & EPS12V power supply in great condition. Will ship in USPS Priority Mail flat rate box with signature required on delivery service.Will ship to US 48 states only and after PayPal says OK to ship. Fans - 1 x 120mm Fluid Dynamic Bearing Fan (Seasonic S2FC). 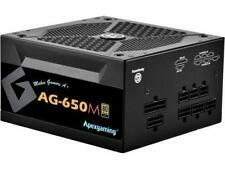 Maximum Power - 650W. Approvals - cTUVus, TUV, CB, EAC, C-tick, BSMI, CE, FCC, CCC, Energy Star, RoHS, WEEE, ErP Lot 6, REACH. MTBF - 150,000 hours MTBF @ 25 degree C, excl. Trending at $118.95eBay determines this price through a machine learned model of the product's sale prices within the last 90 days. All proceeds to go charity. Not all Modular Cables Included. 100% functional. Not all modular cables included. Includes (1x 24 pin, 1x 8pin CPU, 1x 8Pin to 2x 6 2pin VGA, 2x SATA Power, 1x Molex Power). 2x SATA Power. 1x Molex Power. And of course, it includes the box with all cables and all the stuff you get when you buy one new. For detailed specs, I highly encourage you to search the model number on EVGA's site. Fully Modular to reduce clutter and improve airflow. Model SDA600. 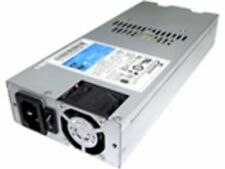 Rated Output Power 600W. High Efficiency 80 Plus® Gold Certification. 80 PLUS Certification Gold. Efficiency 90%. Form Factor SFX. Protection OCP/OVP/SCP/OPP/OCP/OTP. Fan Type Dual ball bearing fan, 80mm. EVGA SuperNOVA 750 G1 80 PLUS Gold 750W Fully Modular Power Supply. Condition is Used. Shipped with USPS Priority Mail. Tested and working. Lightly used. See pictures for exactly what is included. Corsair RM Series RM750 750W 750 Watt 80 PLUS® Gold Certified Fully Modular PSU. Condition is Used. Shipped with UPS Ground. Very good condition not that much use. 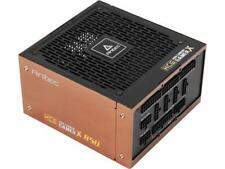 EVGA SuperNOVA 1300W 80 Plus Gold Modular Power Supply. Condition is New. Shipped with USPS Priority Mail. Brand new, box never opened. Ships to USA only. Works great and is in good condition. Was pulled from a fully functioning computer. Perfect for your Mining PC or GPU Compute Workstation!